Results: Previously thought to be a simple reaction, scientists at Pacific Northwest National Laboratory found that tiny iron particles instigate a complex series of reactions to turn harmful carbon tetrachloride into harmless chemicals. The team of experimental scientists and theoreticians uncovered 10 molecules that may be created during the reactions, including an iron-carbon-chloride molecule that energetically reacts with iron. "What was thought to be a simple reaction proved to be far harder when working with nanoparticles and tiny clusters," said Dr. Donald Camaioni, a theoretical chemistry expert at PNNL. This research was featured on the cover of Journal of Physical Chemistry C.
Why It Matters: Soil at hundreds of sites across the United States contaminated with carbon tetrachloride. These sites range from dry cleaners to plutonium processors. Particulate iron is one technology considered to treat carbon tetrachloride spills on the soil. "The problem, of course, was that no one understood what actual reactions were happening," said Dr. Scott Smith, an experimental chemist on the project. "You could see the carbon tetrachloride going away, but you didn't know exactly how." So, the PNNL team decided to find out what was happening. With insights about the effectiveness of different sizes of iron particles and concentrations, researchers may more effectively turn carbon tetrachloride lodged deep underground into benign compounds. Methods: Using "atom dropping" experiments, a delicate and time-consuming process led by postdoctoral fellow Dr. Gareth Parkinson, the researchers conducted two types of experiments. First, they combined iron with an excess of carbon tetrachloride. Second, they combined carbon tetrachloride with an excess of iron. The results were studied with a suite of instruments, including x-ray photoelectron spectroscopy, low-energy electron diffraction, and temperature programmed desorption with a mass spectrometer. The instruments are in the Department of Energy's EMSL, a scientific user facility on the PNNL campus. With the experiments, the team could see the carbon tetrachloride disappear and could measure the final products, including carbon monoxide and iron trichloride. But, they could not determine the reactions that produced those final products. "We had some guesses as to what was going on," said Dr. Bruce Kay, a leading experimental chemist at PNNL. "But, we wanted our theoretical experts to look at it." So, the team collaborated with a trio of theoretical chemists at PNNL. This group performed high-level density functional theory calculations on three different scenarios: one iron atom and one carbon tetrachloride, one iron and two carbon tetrachloride molecules, and finally two iron atoms with one carbon tetrachloride. The team found ten different molecules were formed between the beginning and the end of iron's attack on carbon tetrachloride. "From the theoretical point of view, the systems can get complex quickly," said Bojana Ginovska, a postmasters fellow who performed the calculations at PNNL. What's Next: In this study, model iron particles and atoms were used. In the real world, iron particles are far more complex with an outer shell created by their reaction with oxygen and water. Simply put, said Kay, the goal was to build the complexity of the system and to eventually explain what is happening in real life. Future studies will look at the oxide-coated particles, more closely mimicking real situations. Acknowledgments: The U.S. Department of Energy's Office of Basic Energy Sciences, Chemical Sciences Division, and Office of Biological and Environmental Research, Environmental Research Sciences Program sponsored this research. The research was done by Gareth Parkinson, Zdenek Dohnalek, R. Scott Smith, Bruce Kay, Donald Camaioni, Bojana Ginovska, and Michel Dupuis, all of PNNL. The experimental research was done in the Department of Energy's Environmental Molecular Sciences Laboratory, a national scientific user facility at PNNL. References: Parkinson GS, Z Dohnalek, RS Smith, and BD Kay. 2009. 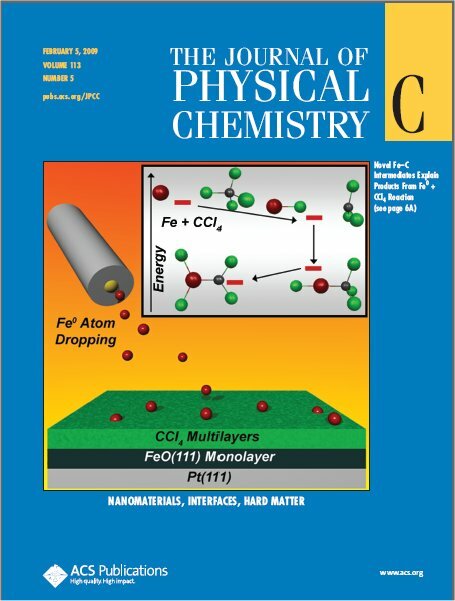 "Reactivity of Fe0 Atoms, Clusters, and Nanoparticles with CCl4 Multilayers on FeO(111)." Journal of Physical Chemistry C 113:1818. Camaioni DM, B Ginovska, and M Dupuis. 2009. 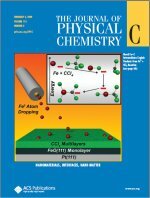 "Modeling the Reaction of Fe Atoms with CCl4." Journal of Physical Chemistry C 113:1830.